This is now called The Navigator and is owned by Upham Pub Company and Brewery. 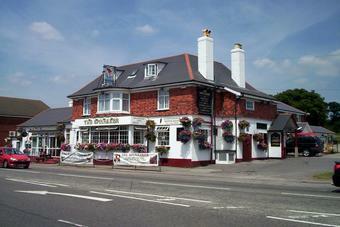 They also own The Thomas Lord, a pub restaurant in the village of West Meon. warm and cosy seating, reasonable prices on beer, could be a bit cheaper, but hey so caould all beer. A spacious pub with a high-class restaurant out-back. Generally unremarkable and popular with some of the local yachting crowd.